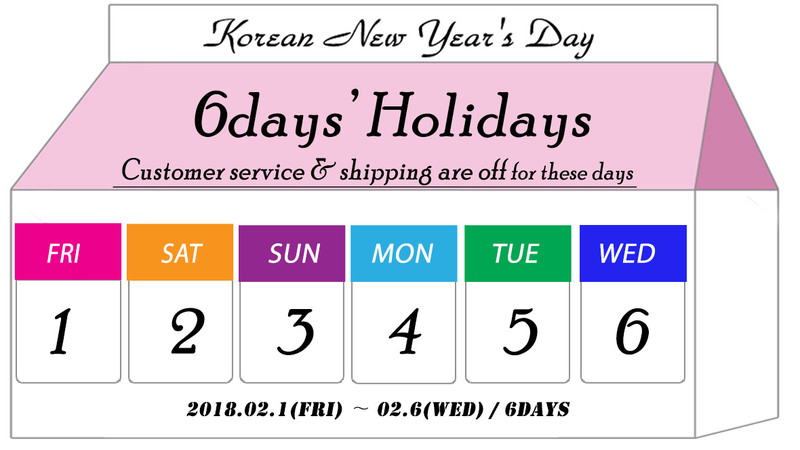 Due to Korean New Year's Day, Post office doesn't operate as usual, so only the orders by at 11:00 p.m on Jan 31th (Korea time) could be sent in time. Later orders could be sent in order since on Feb 1st. Please note this point before ordering. the customer service could be used since on Feb 7th.